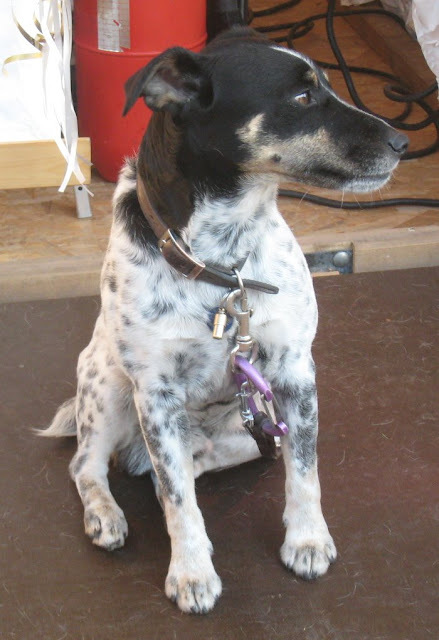 This gorgeous little dog sits outside the shop you see below. 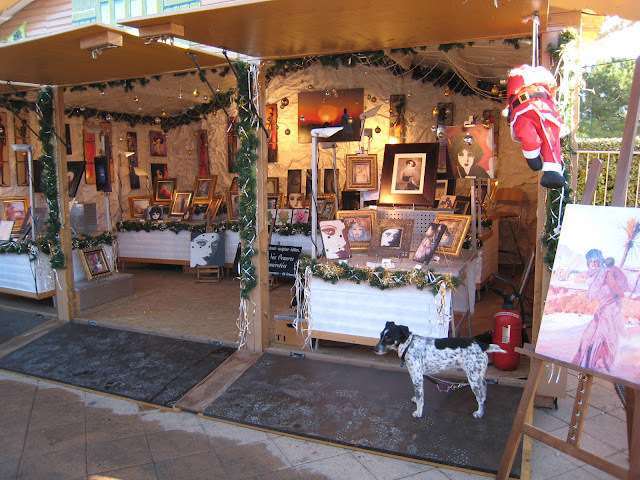 The shop is part of Menton's Christmas market that runs from the sea to the market area. It opens every day at 10 a.m. and every day this dog sits there. When I took the photograph above no one was in the shop but it seems our hero is resigned to the several weeks he must sit here each year. Wow, this Christmas Mkt. dog is wearing an impressive amount of metal! Is that a climbers crampon I see? Jilly, I love yesterday's photo of Conan. Reminds me so much of our late, beloved Rottweiler (except for the ears). And is that silver color brindling, or age?